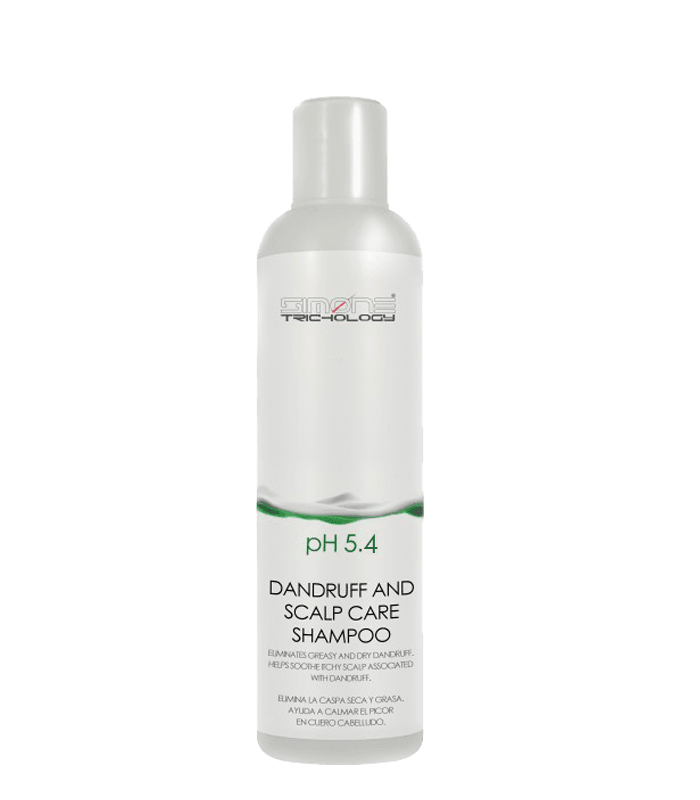 DANDRUFF AND SCALP CARE SHAMPOO 250ml has been specially formulated for washing and caring any kind of hair affected by dry (pityriasis simplex) or greasy dandruff (pityriasis steatoids). SIMONE TRICHOLOGY DANDRUFF AND SCALP CARE SHAMPOO 250ml has been specially formulated for washing and caring any kind of hair affected by dry (pityriasis simplex) or greasy dandruff (pityriasis steatoids). SIMONE TRICHOLOGY DANDRUFF AND SCALP CARE SHAMPOO 250ml It impedes the rebound effect thanks to long-life anti-dandruff agent. Helps soothe itchy scalps associated with dandruff. Triple Action Conditioner 500ml 25,54 € VAT incl.